it utilizes maximum vertical height and utilizes the space optimally. it can be customized according to the requirement. -Increased productivity of up to 3.5 times over static solutions. VLM Solutions for Small Parts Storage. Reclaim up to 80 percentage of floor space and get the benefits of automated inventory management. Fabricated from the premium quality raw materials this vertical storage system is widely used in various industrial sectors. 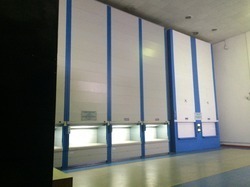 These vertical storage systems are fullycomputerized and vertical space can be properly utilized without the ladder. Size: All Sizes depending upon specifications. We are engaged in manufacturing and supplying of a wide range of Material Storage System with multiple shelves for storage purpose. 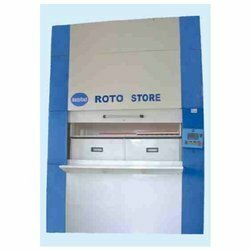 Material Storage System offered by us are fabricated from a finest quality raw material, hence are sturdy in construction and offer longer service life with best features in strength, durability. Due to years of practice and industry proficiency, we have become a foremost firm, engaged in providing Automated Vertical Storage and Retrieval System.